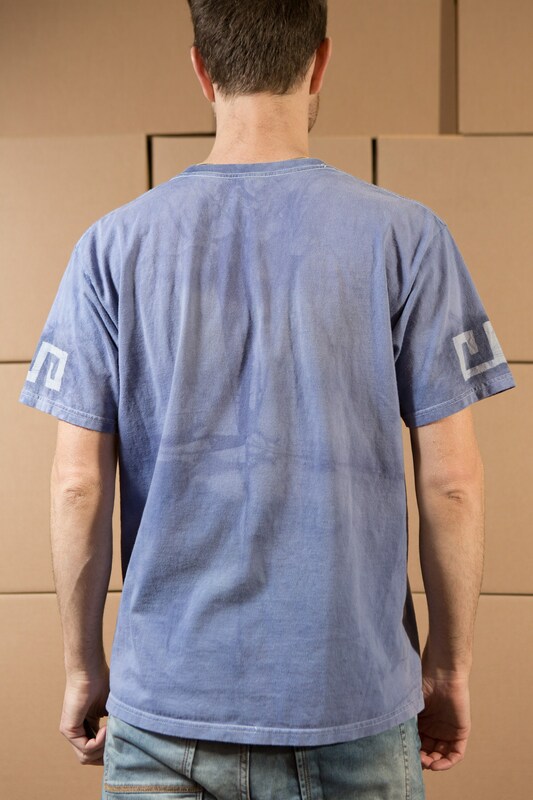 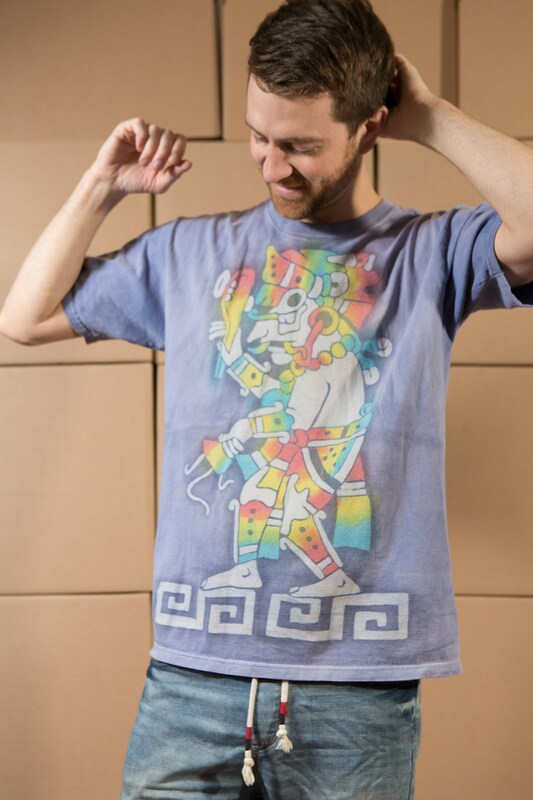 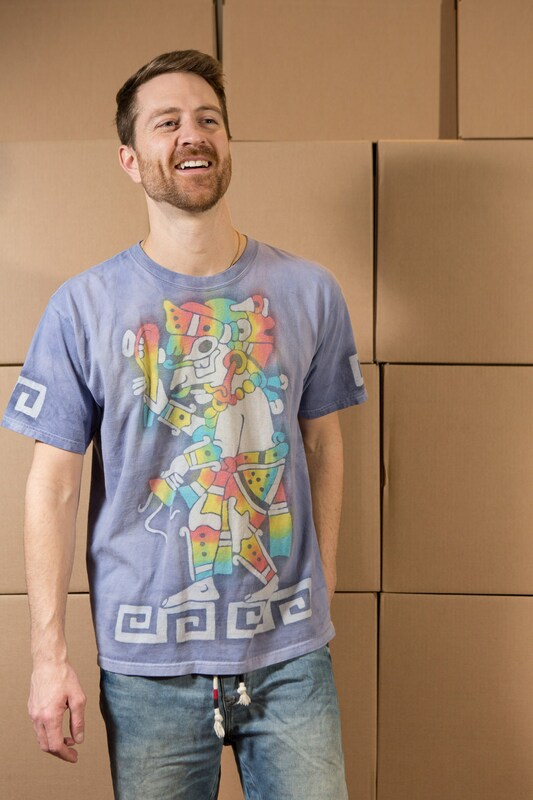 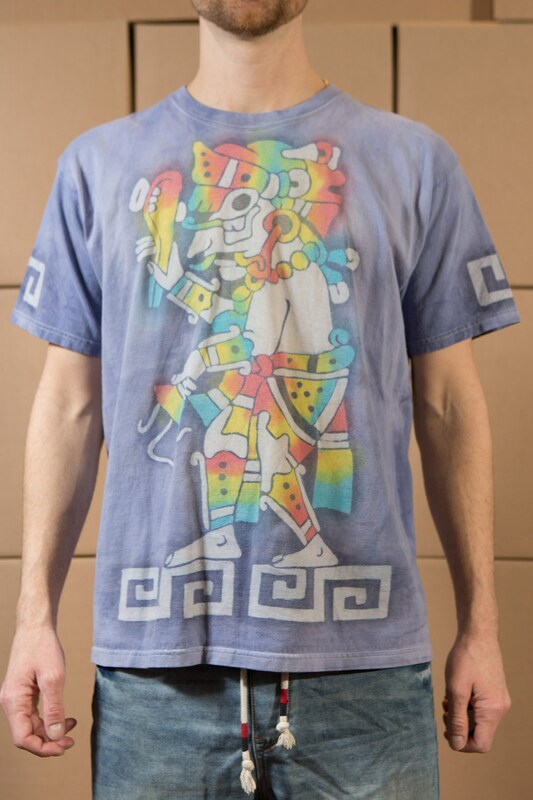 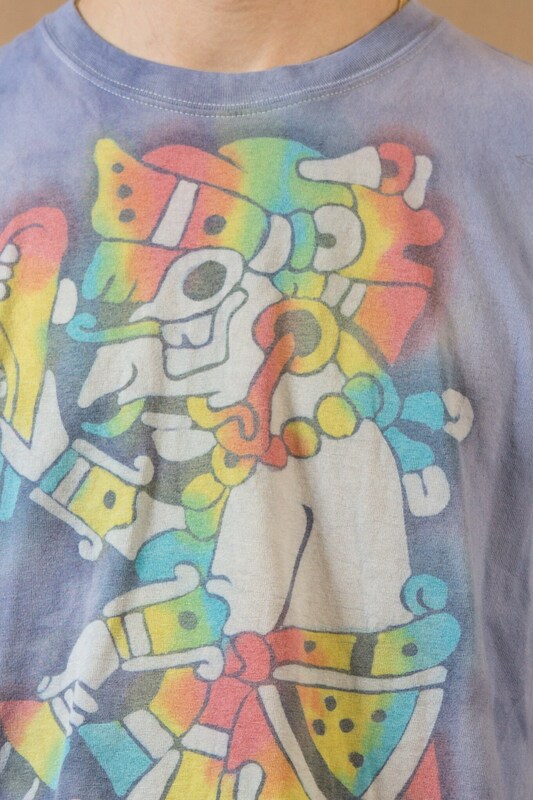 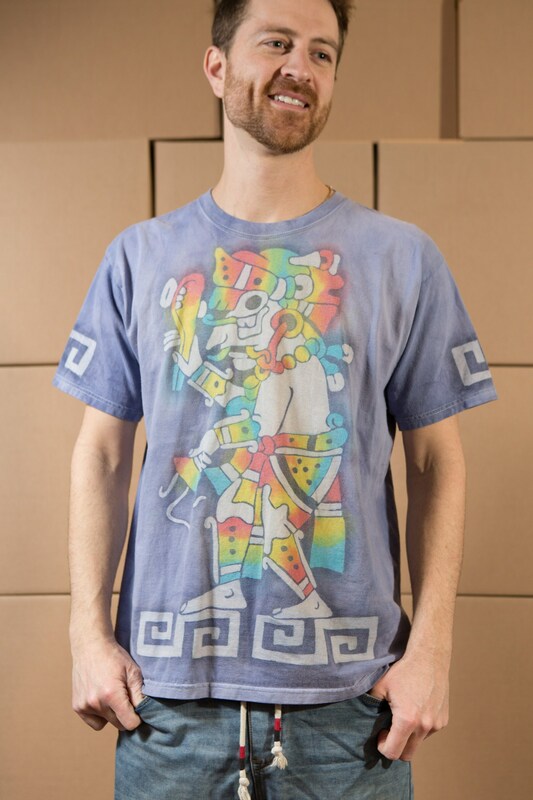 This is a marbled tie dye purple t-shirt with possibly a rainbow coloured Mayan image. 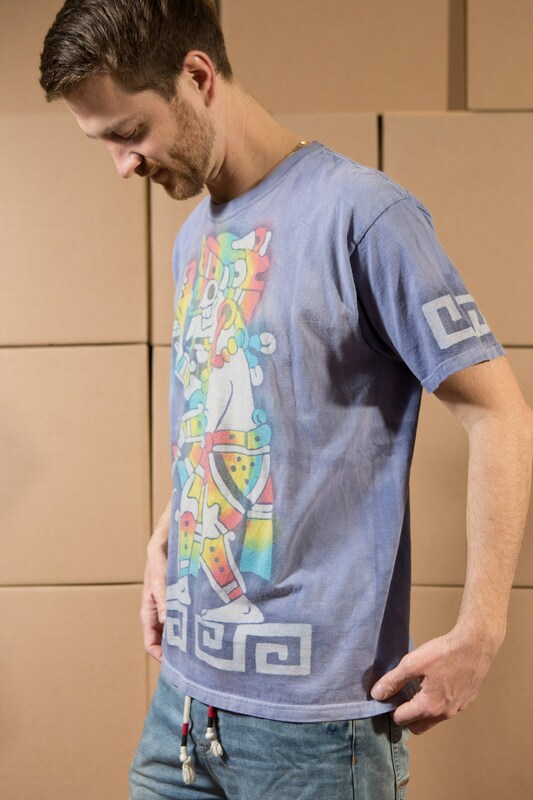 Fits Like: large (Model wears medium size). 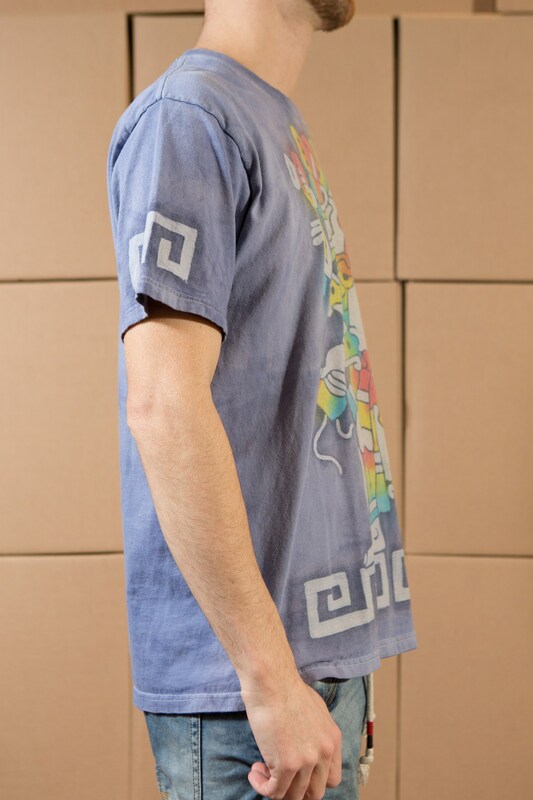 Sleeve length (top shoulder seam to cuff): 8.5"